Cascade is a way of stacking windows. This is done via SizeUp's powerful AppleScript feature and a third-party application called FastScripts which allows you to bind shortcuts to run AppleScripts. FastScripts is an excellent menu bar application that allows you to bind shortcuts to AppleScripts. FastScripts is free for up to 10 shortcuts. 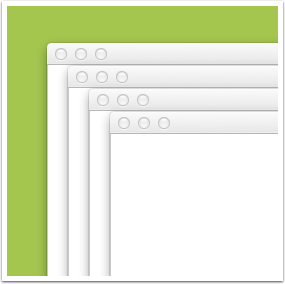 There are two scripts, one for cascading all windows on screen and one for cascading only windows of the frontmost app. a) If you're on Snow Leopard, go into the Library folder in your home directory. b) If you're on Lion or later, hold the Option (alt) key and choose the "Go > Library" from the Finder menu. 2) Locate the Scripts folder, or create it if it doesn't exist. 3) Move the downloaded AppleScript into the Scripts folder. 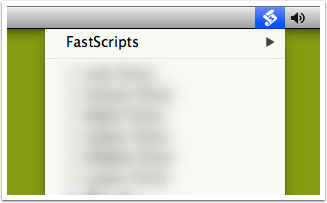 You can access the SizeUp Cascade Action via the FastScripts menu bar item, or you can bind a shortcut to the script in the FastScripts preferences.